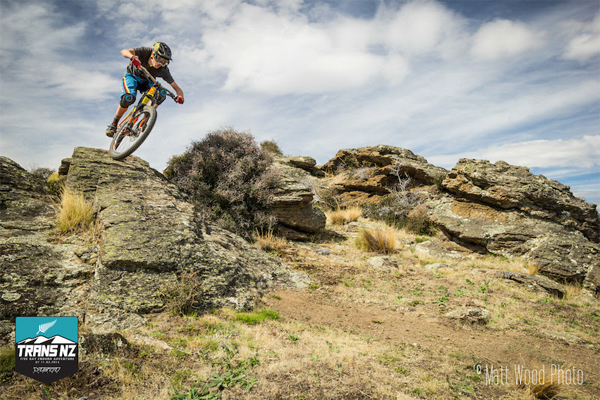 The Trans NZ Enduro presented by Yeti Cycles returns to its roots on the South Island of New Zealand, February 29 - March 5, 2016 for its second annual event. 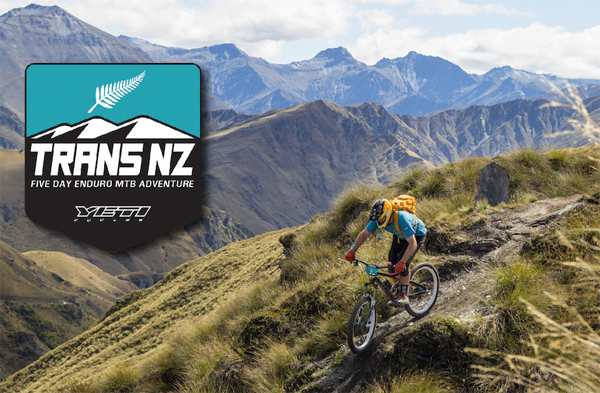 This spectacular 5-day enduro stage race will blend adventure mountain biking over the most diverse terrain - towering alps, rugged coastlines, enchanted forests and lush plains - on an all-encompassing tour of New Zealand’s premier trails and culture. Described as the “best mountain bike holiday ever, thinly disguised as a race”, the Trans NZ will dive straight into the most sought-after trails, hand-selected for an enduro format from the local’s perspective- where the climbs are untimed and social, and the timed technical descents go towards the week’s accumulative standings. “Rugged, raw and incredibly diverse; the riding mirrors the awe-inspiring nature of the country side we were traveling through. Good People, good times, good country,” said Deon Baker (Perth, AUS), Open Men third place in the 2015 Trans NZ. The Trans NZ is home to unequivocally some of the best riding in the world, and racers will experience its beauty and challenge, day-in and day-out, from the comforts of backpacker style lodges. Three registration packages are offered including an all-inclusive 'Standard' package, the 'Pamper Beauty Queen' package, and the 'Dirt Bag' package for locals and those who like to rough it a little more, ranging in price from $950NZ - $1800NZ. “Five days of racing in five completely different parts of one amazing island makes the Trans NZ really unique. 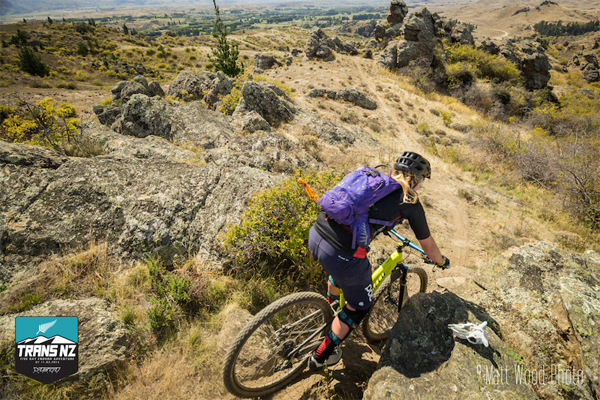 This coupled with the relaxed and inviting way of Kiwi life makes for a great atmosphere,” said Rachel Gurney (Dorset, UK) Open Women third place in the 2015 Trans NZ. Meals, accommodations and transport will be provided throughout the duration of the event (depending on the package). From airport pick-ups the day prior to the start day, all the way through to airport drop-offs, all logistics have been thoroughly planned out for racers to enjoy their week as an adventurous tour, or racing for the top step of the podium. “Race-wise you really have to be fit and use your whole skill set to win, from the high alpine trails, moon-like terrain of Alexandra, to the bike park in Queenstown, it is everything a mountain biker looks for in a race, with one of the best vibes I have ever had in any race environment,” said Mark Dunlap (Rotorua, NZ), Open Men fourth place in the 2015 Trans NZ. Registration for the Trans NZ will open on September 15, 2015 at 9 a.m. (NZST) for 48 hours on this link here. One hundred riders will be elected from the lottery system, and notified on Monday, September 21. The Trans NZ will be capped at 100 entries for all-inclusive packages, and 20 self-supported riders. The Trans NZ will utilise the SportIdent timing system, which boasts highly accurate and instant results, and a proven track record of events including the Trans-Provence, Trans-Savoie, Andes Pacifico, Trans BC and more. Volunteer positions will be available for February 28 - March 6. All meals, transportation and accommodations will be provided. About the Trans NZ Enduro Organiser, Megan Rose: Megan has been riding and racing bikes all over the world for 13 years and organising bike events for the past six years. She splits her time between British Columbia, Canada and New Zealand, running the BC Enduro Series and the new Trans BC for 2016, and running the Trans NZ race. Over the past two years Megan has personally races in over 24 enduro races, timed over 58 days worth of enduro races, and personally organised 22 enduro races. Megan and her team look forward to bringing you the best of the best from all of these perspectives.